Thanks everyone for your votes. It was a fun outfit to make….and it made me find an awesome discovery. You can turn a dress pattern around and make a coat out of it! Ok…here is the thing for the dress. You already have the tutorial! 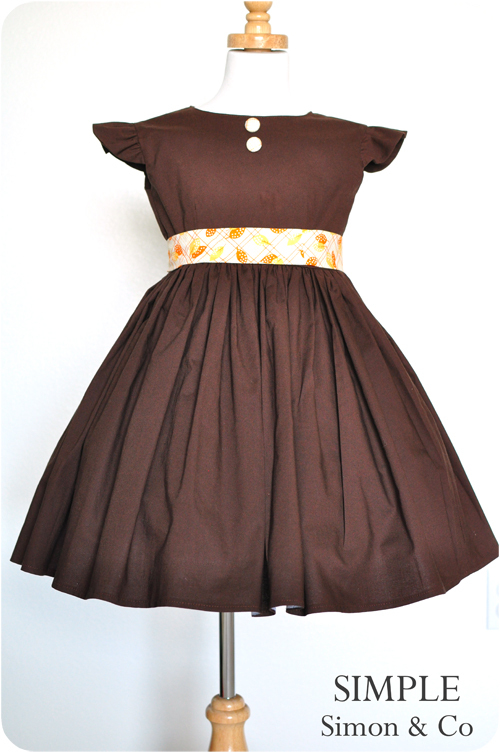 I made this dress from “The School Girl Jumper” that we made a couple of weeks ago. I did add some modifications which I will tell you about. 1. 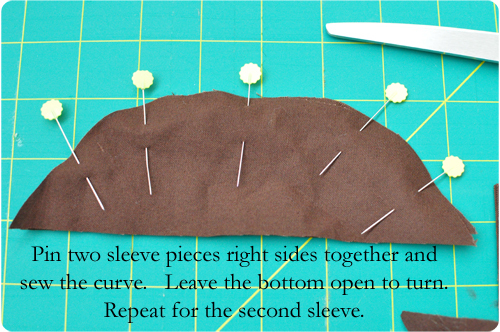 Make the bodice neckline higher. I did do the darts and fitted it several times to my model for a good fit. 2. Add flutter sleeves. The tutorial is below! 4. Instead of buttons all the way down the back, I sewed the skirt up to the bodice and then added the buttons only on the bodice part. 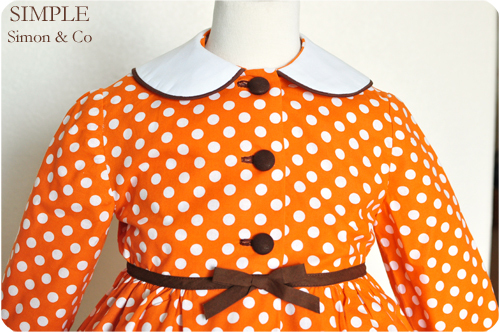 The only other additions were the fabric-covered buttons on the front and a sash that ties into a bow on the back. I PROMISE I will do a tutorial on how to turn a dress pattern around to make a coat…..but I have got to catch my breath…. It might take a couple of weeks. But maybe by then, the weather will be cool enough to actually wear the jacket. If you want to be adventurous before then, I would take your favorite dress pattern (with two back pieces…) and turn it around to fasten in the front and make a coat. 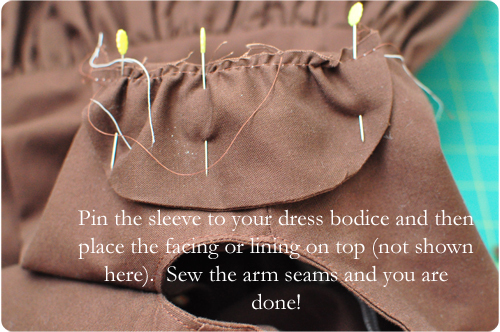 *You will need to add extra seam allowances in the front for the button holes…..but that’s about it! Hope you are having a good week! Thanks for coming around today. Really. I love to put flutter sleeves on dresses. They are easy, darling, and very vintage–which is my kind of project. Another great part about this type of sleeve is that you can add them to existing sleeveless dresses if you want to add a bit more coverage. All you have to do for an existing dress is to open the bodice and lining at the sleeve seam and insert a set of these babies…and you are done. 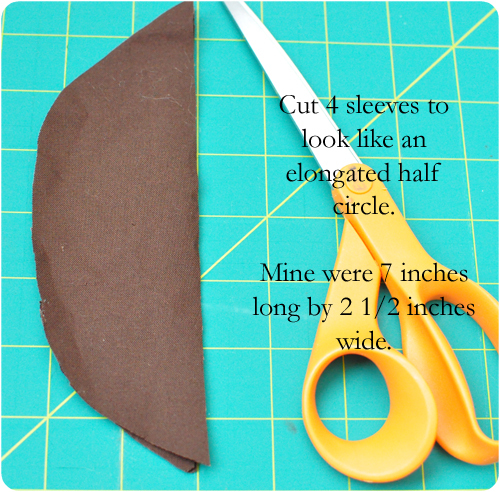 Everyone does them a little different (some people just cut out one sleeve and hem) but here’s how I make mine…. That dress and coat are simply gorgeous. You are so talented. Great job. Congrats and i can’t wait to see what you do next! This is absolutely DARLING! I’m so excited that we can just use the School Girl Jumper and modify it! I’m lovin’ those flutter sleeves. What a cute dress! I’m new here, but what age range is the dress made for? I have a brand new niece, but my guess is I’ll need to wait a few years before she’d be able to fit into a dress like this. It’s super cute though, so definitely a keeper! Congrats on winning last week. Can’t wait to see what you come up with this week. Did you put any kind of petticoat under the skirt? it is SOOO fluffy!! I LOVE it. just jayma—there is a petticoat under it…I searched high and low for one to wear with her Easter dress and finally found one that is attached to a slip…it’s great and she loves it too. She wears it under most dresses now. Jessica—a black eyelet coat? A. Maz.ING. That will be so cute! Amy–I am not sure about this outfit for a baby…(but I could be totally wrong). My best guess would be 18 months and up would be darling though. I’ve got a sleeve hint. Cut a football shape, fold and press in half, then gather the curve. 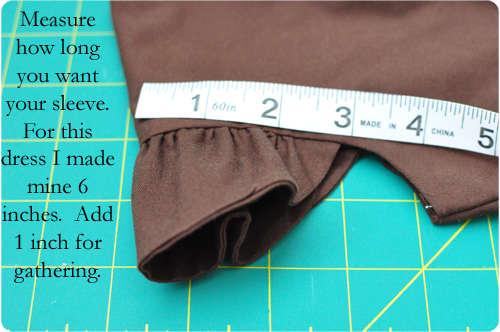 This saves clipping, pinning, bulk, and time! how did you do your hem? love it, but mine is not looking so great…. tips?? 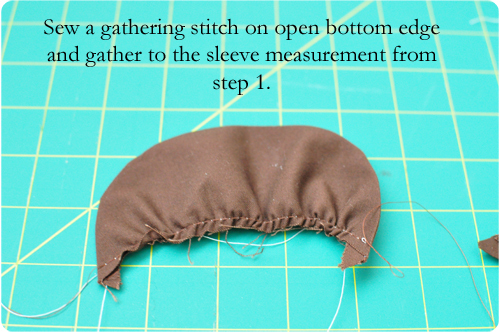 For my hems….I usually put my stitch length to a bit longer….and my other trick is to PRESS WELL! The only other advice I can give is to not look at the needle when you are sewing…to focus on the line where you have the end of your fabric. 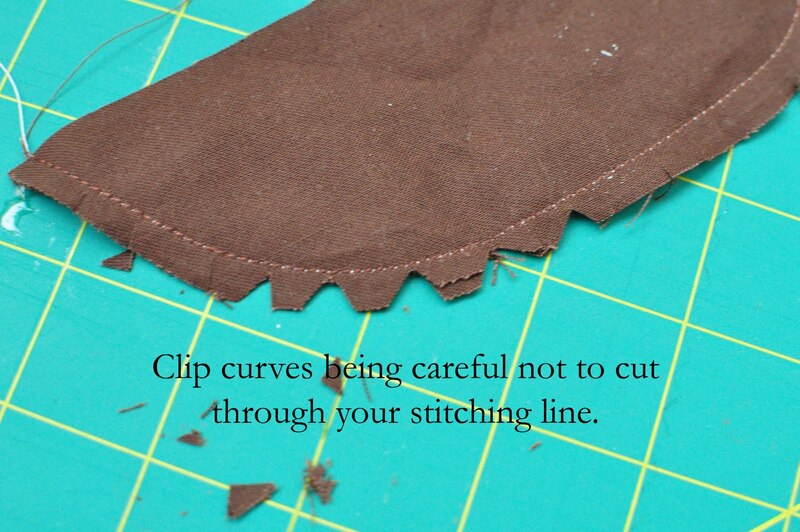 You will get much straighter lines if you don’t watch the needle when you sew. 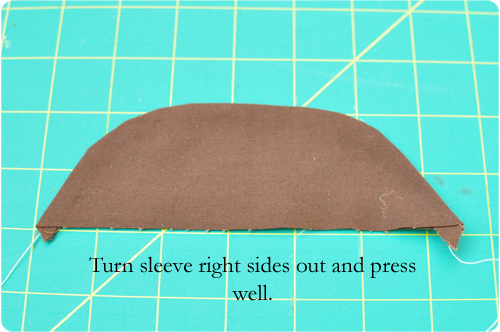 You mean one can use this technique to add sleeves to ANY sleevless dress?? Amazing. Where can I find the pattern for this dress! It’s adorable and I’d love to make an Easter dress with it!